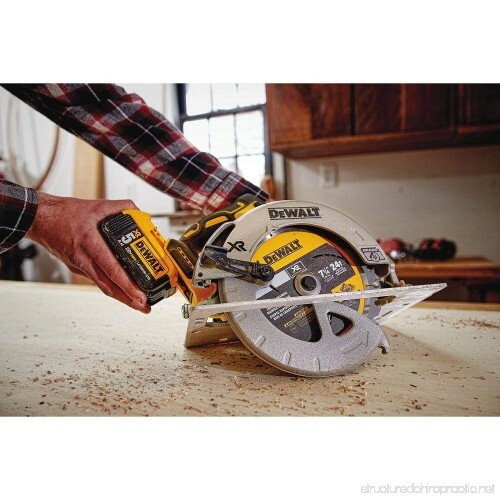 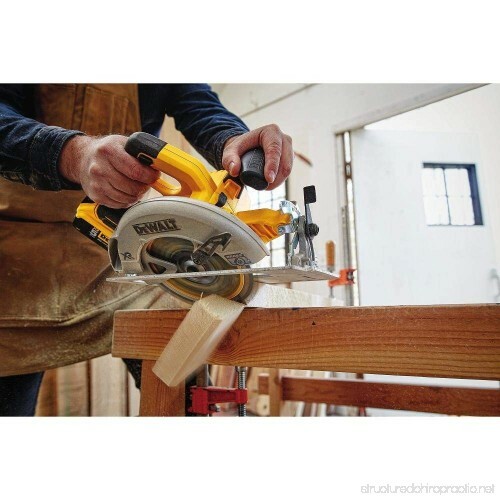 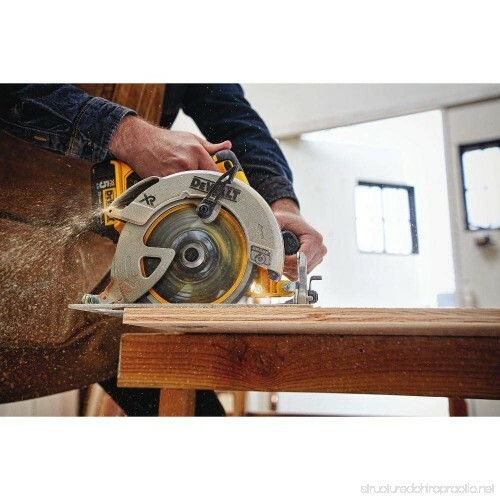 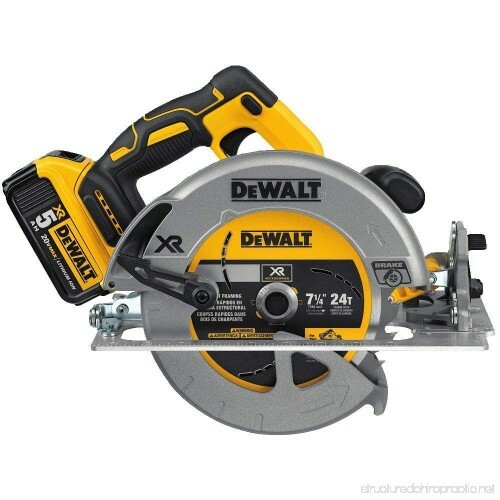 The DEWALT DCS570P1 7-1/4" (184mm) 20V cordless Circular saw with brake kit features a Brushless motor that provides 5200 RPM and maintains speed under load. 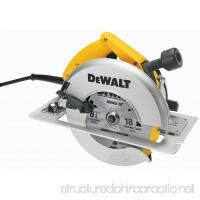 It uses a 7-1/4" blade, that provides 2-9/16" depth of cut, with a bevel capacity of 57 degrees. 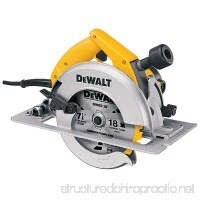 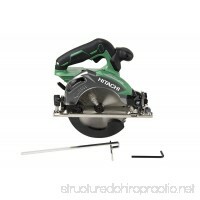 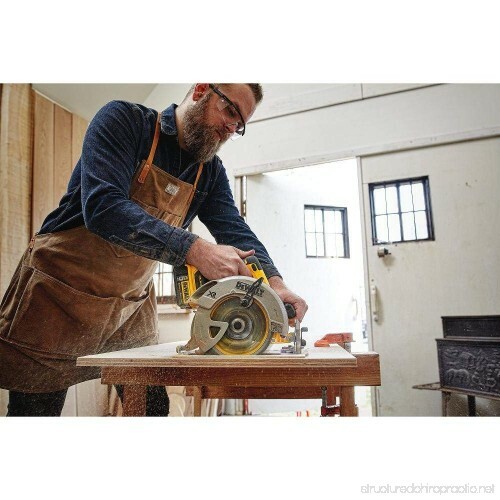 This Circ saw offers up to 100 cross cuts in pine. 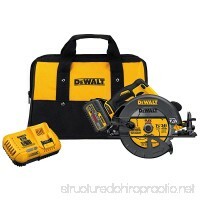 This kit includes a 20V max* Lithium Ion battery and a fast charger. 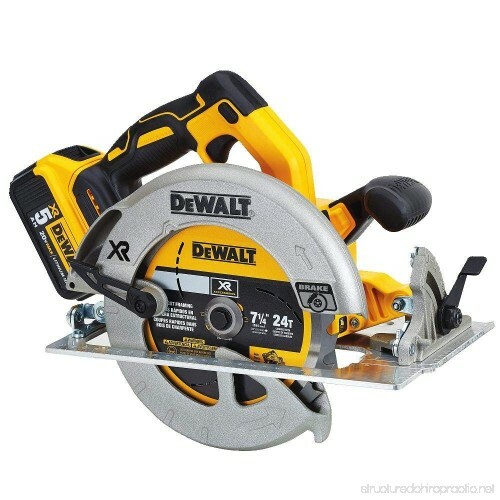 Specs: top handle, 5200 RPM, Brushless motor, depth of cut at 45° = 1-5/8 inches, depth of cut at 90° = 2-9/16 inches, 2 bevel stops, rear pivot, Electric brake, max watts out = 900 watts. 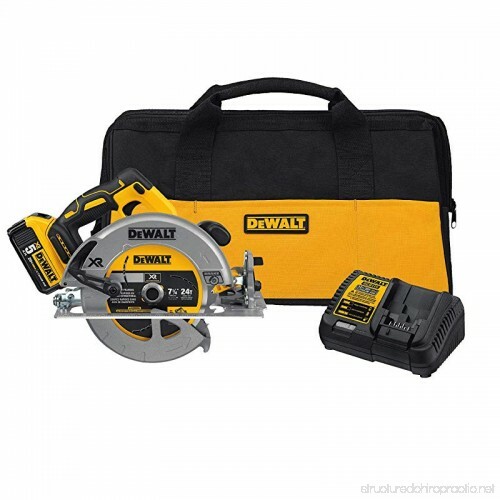 Includes: 1) 7-1/4" (184mm) Circular saw, 1) 7-1/4" (184mm) blade, 1) blade changing wrench, 1) 20V Lithium Ion battery, 1) fast charger.